Snowdrops are one of the earliest blooming bulbs available. These fabulous flowers come in the classic form of sweet drooping white flowers or as cultivated or wild hybrids to satisfy any collector’s fancy. The best time to plant snowdrops is when they are “in the green.” What is in the green? This means planting when the bulb still has leaves. It ensures easy establishment and division of the bulbs. What are Snowdrops in the Green? Galanthus is the botanical name for snowdrops. These easy to grow charmers are in bloom from January often until March. Planting snowdrops in the green is the traditional method to enjoy these little darlings. Novice gardeners may want to know “what are snowdrops in the green” and when is the best time to plant them? These questions and more will be answered. Flowers on snowdrops may last a month or two in late winter to early spring. Their strappy green leaves persist after the blooms have faded and dropped. As soon as the blooms are finished, it is time to dig up the bulbs. This allows you to divide and plant nice moist bulbs, which will still have foliage to provide solar energy and is stored for the next season. Eventually, the foliage will yellow and die back but in the meantime it can harvest sunlight and turn it into carbohydrates or plant sugars to save inside the bulb. This will guarantee a bumper crop of blooms the next season. As soon as you notice your snowdrop bulbs in the green, it’s time to spring to action. The bulbs are prone to drying out, so it is best to plant them as soon as they are purchased or lifted. While the leaves are still vigorous, dig around the clump and under the bulbs. Prepare a planting location ahead of time. Make sure soil is loose and dig a trench or hole and incorporate leaf mold or compost into the reserve soil and the hole. Divide the cluster if necessary. Lay the bulbs with the leaves pointing towards the sun. Plant them at the level they were previously growing. You can tell where that is by finding the white area at the neck which was previously under soil. Back fill the hole and around the bulbs, compacting lightly. Water the plants immediately. Snowdrops should be divided every third year. They will naturalize over time, creating crowded clusters which do not perform well. Add a layer of coarse sand around the bulb zone if you are concerned about rot. 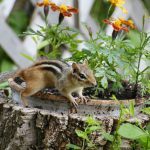 If you are in an area where squirrels or chipmunks are a problem, consider laying netting over the area until the plants begin to sprout. This will prevent the bulbs from being dug up by marauding rodents. These are pretty easy to grow flowers. If they underperform, you can try a bulb food incorporated into the planting hole when you divide the cluster. Just remember to lift your snowdrop bulbs in the green for the best chance of another season’s snowy blooms. 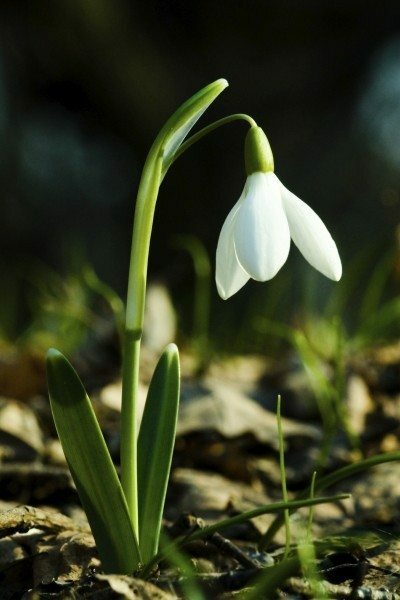 Read more articles about Snowdrops.